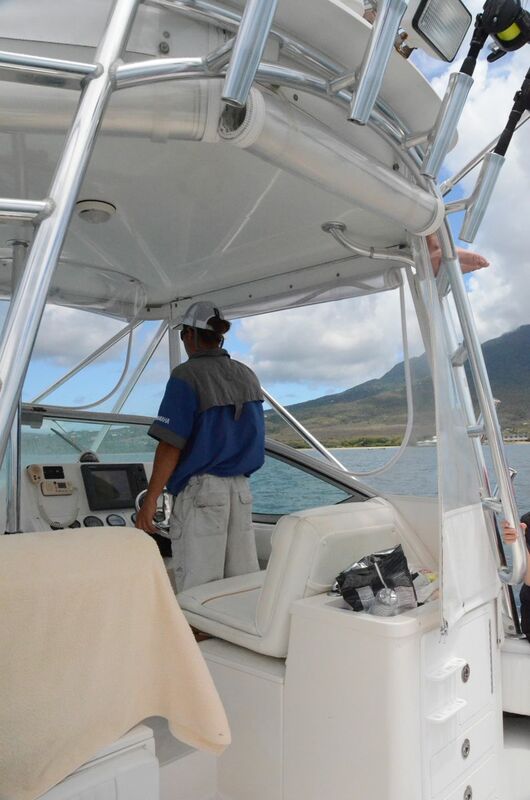 We are so glad that Caribbean Catch showed up in our searches for fishing charters before our trip to Nevis. We had a fantastic time out on the water, as well as bumping into Hugh and Louisa a few times throughout the week. We felt like we made new friends and we're thrilled to be able to promote their new charter business here on our site! Hugh and Louisa are a young couple who moved to Nevis just a couple of years ago. This is the beginning of their first full season with the charter boat and we are sure they will succeed! 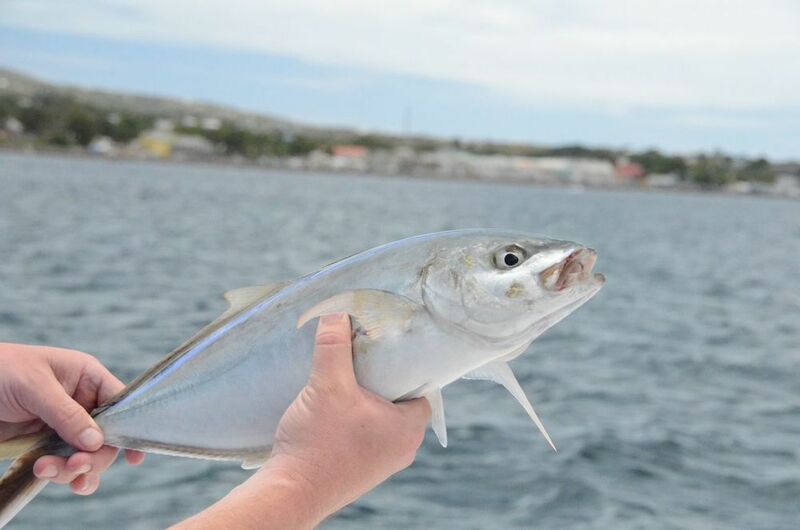 What is unique about Caribbean Catch is that they are flexible and accommodating. We weren't sure if we wanted to fish the whole time or maybe jump out to swim and snorkel a bit. With them, we were able to wing it. We agreed that if the fish weren't biting, we'd do something else. The fish weren't exactly jumping in the boat that day, but we ended up sticking it out, just moving to different spots and depths. We ended up getting four fish, including one that got away and half of a spanish mackerel (we believe a hungry shark came along and grabbed a bit as we were reeling it in). Regardless of the amount of fish, it was a great time. The boat is big, clean and comfortable. The kids liked the view and ride from up on the fly bridge. Louisa was ready with drinks and snacks for all. Hugh and Louisa are good company -- we felt at ease and enjoyed getting to know them.